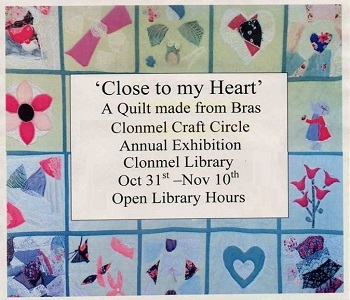 The Clonmel Craft Circle are delighted to present ‘Close to my Heart’, a quilt made from bras. 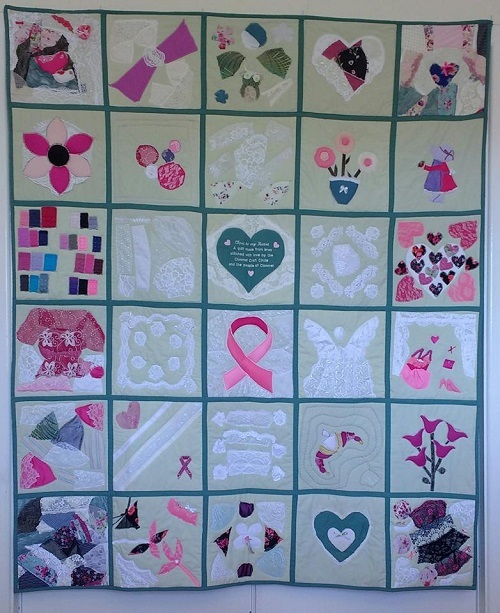 The quilt made in support of Cancer C.A.R.E Clonmel is finished after many months of detailed work. It will be presented to Cancer C.A.R.E. Clonmel on Wednesday 31st October in Clonmel Library. You can see this beautiful quilt as part of The Clonmel Craft Circle annual exhibition. 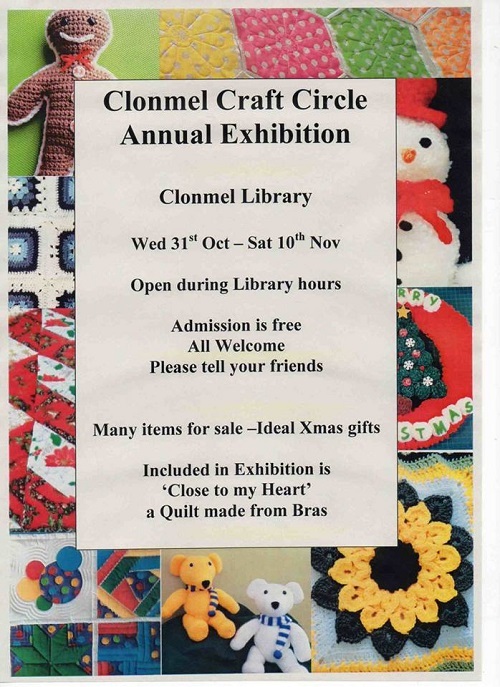 The exhibition will be held as usual in Clonmel library, starting on wed 31st of October and running until Sat 10th of November. Also on display as part of the exhibition, are many lovely handcrafted items, many of which are for sale and would make ideal Christmas presents. The exhibition is open during library hours, please come and say hello and don’t forget to tell your friends and family.